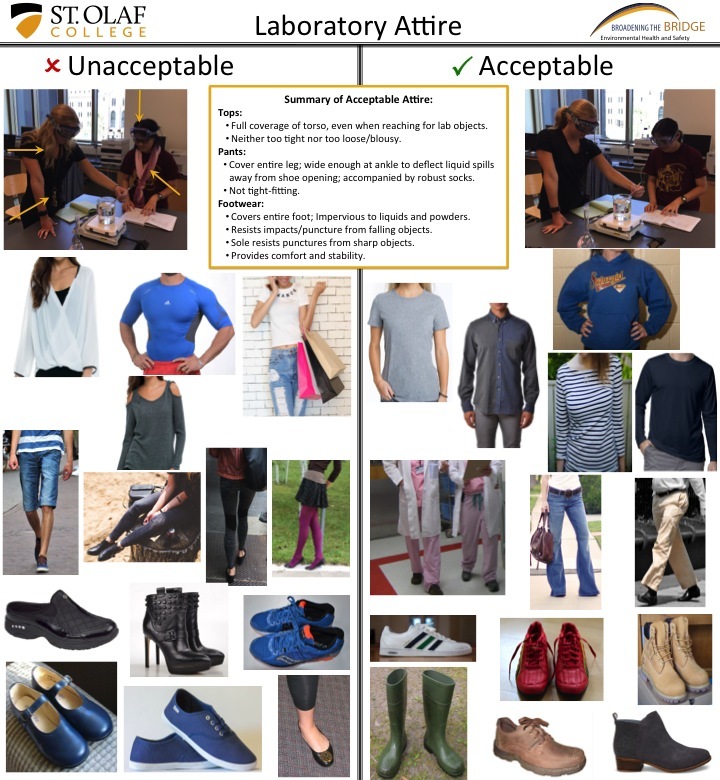 As of September 2017 we no longer allow leggings/jeggings in any lab where hazardous substances are stored/handled. It took a number of years of discussion and continually raising awareness before the faculty finally accepted that it was the right thing to do (it also helped to point to good policies at other institutions, such as the Univ MN). Of course, we're a small school so once the policy was put into place (and the faculty agreed to enforce it) then it's been really quite smooth to implement; there was no big stick or "Thou Shall Not" but rather the faculty simply explained to the students that such clothing basically offers no protection to their legs and that looser fitting pants are far superior for their own safety, and the students said "ok." We still get a few that forget, but they are sent home to change (making up lost lab time is on them). Our website contains a short video, a poster, a short summary of acceptable laboratory attire. We specifically state: "Do not wear leggings/yoga pants since they offer no barrier between you and the chemical with which you are working, and chemicals can easily wick through and contact the skin."